Montclair has no shortage of chic boutiques and highly regarded eateries. For Small Business Saturday, the national campaign to promote the vitality of small businesses across the U.S., we are highlighting a staple in Montclair, NJ: Chelsea Square. 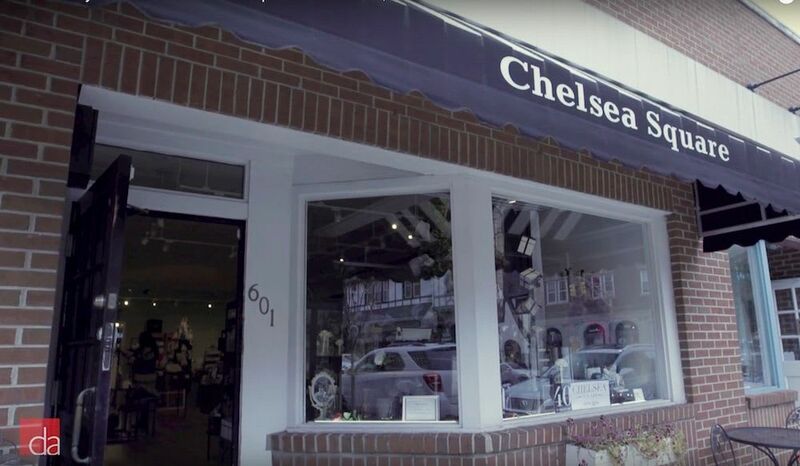 Selling bath, body and unique gifts from Kiehl’s, Crabtree & Evelyn, Casell-Massey and more, Chelsea Square has been an integral part of the Montclair retail landscape for 40 years. Sandy Kelman originally debuted Chelsea Square in 1978 in Upper Montclair. Longtime Montclair resident and retail pro, KaraLynne Wolfe has been at the helm as the owner of Chelsea Square for about year. Wolfe has worked at local Montclair businesses such as Sungraphics and Murph’s Sport Shop over the years, and knows the significance of small business firsthand. As a parent and business owner, Wolfe embraces the idea of her daughter growing up and shopping in Montclair, much like she did. “Small business is what creates and fosters our community. Small business is the staple of what adds to this being a home." says Wolfe. Among all the unique gifts and bath essentials, Chelsea Square partnered with several Montclair influencers to harness community partnerships with thoughtfully curated gifts with a line called Thoughtfully Chelsea. Chelsea Square partnered with community influencers to create a line of thoughtfully curated gifts called Thoughtfully Chelsea. As for us at Designer Appliances, we’re proud to call Montclair our home because of the neighborhoods that boast diversity, an active community and a thriving business district anchored by ample shops and restaurants. We consider ourselves lucky to be able to partner with so many businesses in town. Along the way we’ve found that what makes these businesses truly unique are the people behind them. Check out our latest video that highlights KaraLynne Wolfe and what makes Chelsea Square so unique. What differentiates our hometown store from a national chain is how we embrace the community with support and involvement. As members of the community, we have insight that can help navigate your move to town and can be a resource to help find a home, provide information on schools, give you suggestions on the best shops in town, as well as help with your home renovation process. As the content editor, Jen helps to edit and curate posts on the Designer Appliances blog.